In many ways, both professionally and collegially, the addition of Yingwen Huang, is a boon to the Rare Book & Manuscript Library. In particular, Ying has brought both archival and historical perspective on several oral history interviews and supplementary archival materials that were bequeathed to the, as it was known then, Oral History Research Office at Columbia. 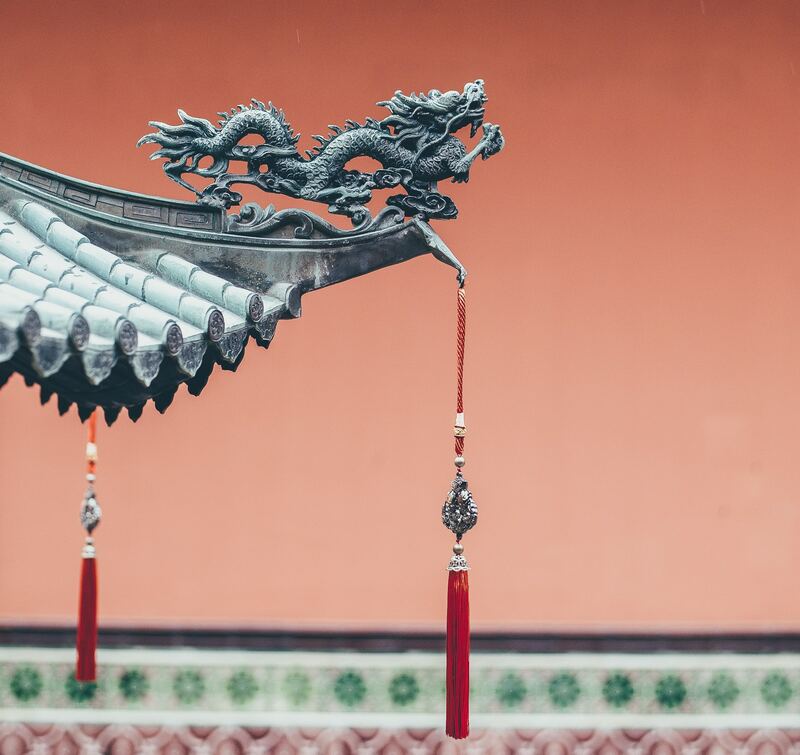 In this post, Ying showcases the Chinese Oral History Project, a 1959 oral history project begun with Academia Sinica’s Institute of Modern History and the Claremont Graduate School’s China missionaries project. Ying’s diligent work on this collection addresses valid concerns regarding the processing, cataloging and accessibility of these valuable collections that offer a window into the historical dynamics shaping modern China. As the Communist party took over mainland China in 1949, Republican officials began to leave for Taiwan, Hong Kong, and the United States. 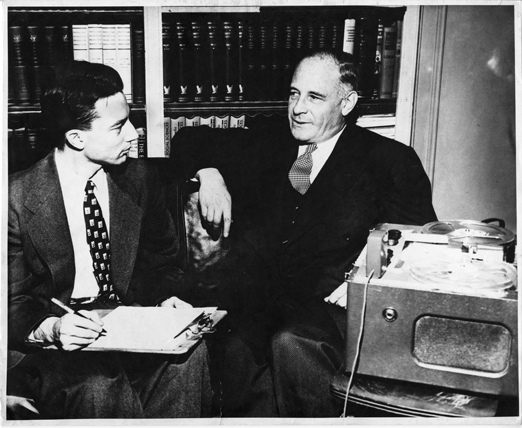 In 1957, Clarence Martin Wilbur, the professor of Chinese history at the Columbia University’s East Asian Institute, was inspired by Allan Nevins’ American oral history project to start a Chinese oral history project and saw the possibility of procuring primary historical sources using oral history interviews to capture the life stories of these prominent Chinese political officials living abroad. Professor Franklin L. Ho, who at the time was the Professor of Chinese Economics, agreed to join as the project’s co-director. The project officially began in 1958 and ended in 1980. Over two decades, the project’s oral historians interviewed a total of 19 prominent Chinese figures from the Republic of China period and produced a total of 16 extensive oral history interview transcripts in English, with many later were translated and published in Chinese and English. The project also collected eight autobiography manuscripts from related individuals as well as 13 interviewees’ personal papers. 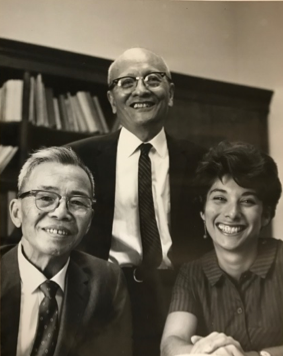 The Chinese Oral History Project (COHP) documents the legacy of the COHP at Columbia University dating from 1958 to 1980. The collection primarily consists of administrative records, photographs and portraits of the interviewees, interview reports and transcript drafts, sample audio recordings, as well as related autobiographies that the project’s organizers collected. Records from the collection document the close connections between the project staff and the interviewees. Researchers who wish to learn more about the history of the lives of the interviewees as well as their collaborative work with the project will find the collection useful. The Chinese oral history project not only contributed to the timely acquisition of primary historical materials for the study of modern Chinese history, it also initiated and promoted the interest of oral history in Taiwan and later in mainland China. In 1958, Hu Shih, the first interviewee of the Chinese oral history project, was appointed as the president of the Academia Sinica. After returning to Taiwan, he advocated and supported oral history in Taiwan. 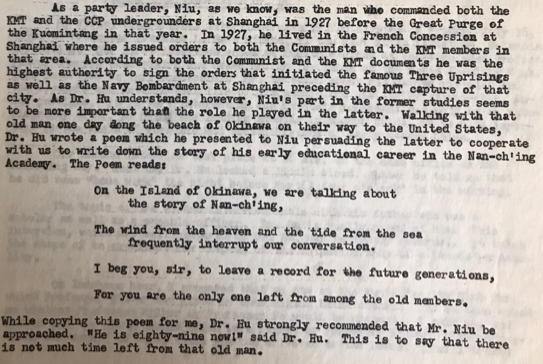 During Dr. Hu Shih’s oral history interview in 1958 as noted by his interviewer Te-Kong Tong, he had strongly encouraged another individual to participate and “to leave a record for the future generations”. The oral history project at the Academia Sinica’s Institute of Modern History began in 1959. The project was initially subsidized by Columbia and later funded by the Ford Foundation. The project focused on collecting oral histories from important political and military figures who settled in Taiwan after the Communist took over in mainland. The interviews documented the lives of political figures representing nearly all provinces of Republican China. 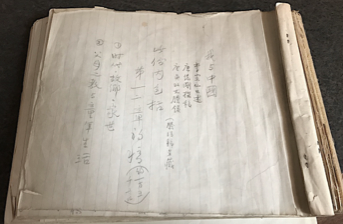 The Academia Sinica oral history project deposited a total of 37 finalized handwritten oral histories transcripts, photographs, diaries, and memoirs at Columbia. The interviews documented the lives of political figures representing nearly all provinces of Republican China. With the Chinese version of these prominent political figures’ memoirs later published in the Taiwan, Hong Kong, and mainland China, the Chinese oral history project and the Academia Sinica oral history project are viewed as the foremost oral history projects that documented the life of Chinese political figures during the troubling period of China dating from the early to mid-20th Century. Another oral history project housed by the oral history archives related to religious missionaries based in China is the Claremont Graduate School’s China missionaries project. The project, started in 1969 and funded by Henry Luce Foundation grant, collected oral history interviews from 44 individuals who worked as missionaries in China. The oral history transcripts were later deposited at Columbia. The Oral History Archives at Columbia also house two versions of the Peter H. L. Chang (Zhang Xueliang) oral history transcripts as well as his papers that were opened to the public in 2002 on his 100th birthday. One of the interviews was conducted by T. K. Tong in 1990 and another by the Chang sisters (Chih-ping Chang-Sobelman and Chih-yu Chang) from 1990 to 1993. In addition to the aforementioned projects that mainly focus on the Republic of China period, the oral history archives also collected oral histories of Chinese-Americans in New York as part of the September 11, 2001 Telling Lives Oral History Project and the Nobel Laureates Project on scientific research project, which include the Reminiscences of Tsung-dao Lee and the Reminiscences of Chen Ning Yang. 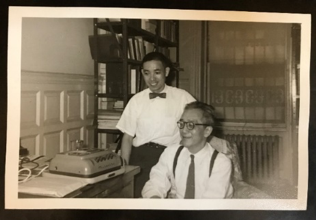 Thank you to Chengzi Wang and his article, “Chinese Oral History Collections at Columbia: Toward Better Access” in the Journal of East Asian Libraries. This entry was posted in Oral History and tagged 2001 Telling Lives Oral History Project, Academia Sinica, Chen Ning Yang, China, Chinese Oral History Project, Claremont Graduate School, Clarence Martin Wilbur, Franklin L. Ho, Hu Shih, Li Zongren, missionaries, Nobel Laureates Oral History Project, oral histories, Oral History, Peter H.L. Chang, Republic of China, September 11, Taiwan, Tsiang Tingfu, Tsung-dao Lee, Zhang Xueliang on March 6, 2019 by Columbia Rare Book & Manuscript Library. 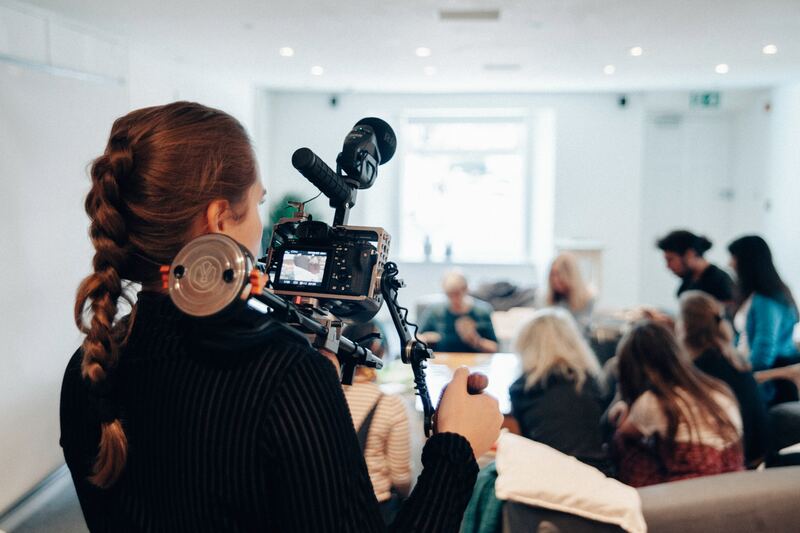 Oral history is a conversation about the past that takes place in the present and is oriented towards the future. How is this future orientation made real? Oral history as a research practice, particularly in the United States, has been defined by a focus on recording and archiving in institutional repositories. But people can be archives too, and oral history-telling practices more broadly often depend on embodied memory, on person-to-person transmission. And because people have been formally recording and archiving oral histories for over seventy years, we are now living in the futures imagined by earlier generations of oral historians. This entry was posted in Oral History and tagged dance, Oral History, social justice, workshops, writing on February 14, 2019 by Kimberly Springer. The Columbia Center for Oral History Research’s 2019 Summer Institute in Oral History will focus on the challenges we face in documenting the political present when secrecy and distortions of truth threaten the most vulnerable in open societies. What role does public memory and the search for meaning play in rescuing and preserving the stories that we most need to hear? This entry was posted in Oral History and tagged Oral History, summer, workshops on February 12, 2019 by Kimberly Springer. Want to learn about oral history? Looking to learn something new in the new year? Join the Oral History Master’s (OHMA) program for an intensive day of workshops with OHMA faculty and alumni! Register now – these always sell out! OHMA will also be hosting their annual Spring Open House that very same week on the evening of Thursday, January 24, 2019! The Oral History Archives at Columbia often accepts stellar oral history projects from OHMA students that align with our current collecting priorities. The OHMA open house is a good opportunity to explore the research, teaching and employment opportunities in a field that keeps gaining in its methodological strength and topical inclusiveness. This entry was posted in Oral History and tagged ccohr, courses, OHMA, Oral History on January 10, 2019 by Kimberly Springer. Why would an archivist change the name of a collection? That’s the central question behind a new RBML exhibit. This entry was posted in American History Collections, Oral History and tagged China, learning disabilities, LGBT, LGBTQ, LGBTQIA lgbtq, Oral History, retardation on November 5, 2018 by Kimberly Springer. Why is writing living history challenging? What are the ethics of doing research on social media? 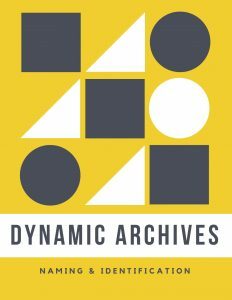 How can archivists balance the ethics of open access and ethics of privacy? Do historians watch enough TV?! 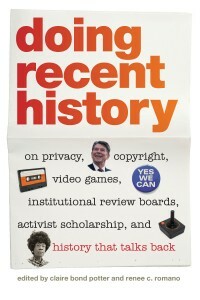 Join Tenured Radical Claire Bond Potter, editor of Doing Recent History, as she engages with these questions and more with contributors to the book, including historian David Greenberg, and archivists Laura Hart and Nancy Kaiser. This event is co-sponsored by the Columbia Center for Oral History Archives. David Greenberg is a professor of history and of journalism & media studies at Rutgers University, New Brunswick, and the author of several books, most recently Republic of Spin: An Inside History of the American Presidency (W.W. Norton, 2016). Formerly managing editor and acting editor of The New Republic, he has also written for The Atlantic, Foreign Affairs, The New Yorker, The New York Times, Slate, The Washington Post, and many other scholarly and popular publications. He now writes a column for Politico. Laura Hart is the coordinator of the Digital Southern Historical Collection at the Louis Round Wilson Special Collection Library at the University of North Carolina at Chapel Hill. 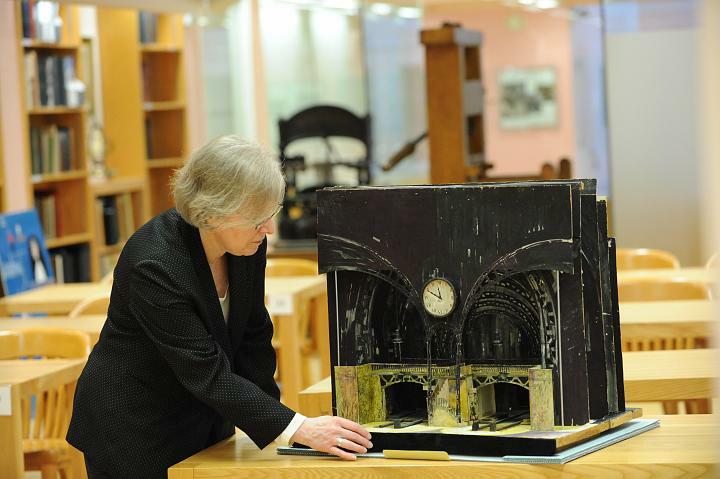 She has worked with Southern Historical Collection materials since 2001. Nancy Kaiser is an archivist at the Louis Round Wilson Special Collection Library at the University of North Carolina at Chapel Hill. She has worked with Southern Historical Collection materials since 2000. Claire Bond Potter received her B.A. in English from Yale University and her Ph.D. in History from New York University. She is currently Professor of History and Director of the Digital Humanities Initiative at the New School. Formerly the sole author of the education blog Tenured Radical at the Chronicle of Higher Education, Potter has also written War on Crime: Bandits, G-Men and the Politics of Mass Culture (New Brunswick: Rutgers University Press, 1998), and with Renee Romano, she is co-editor of Doing Recent History: On Privacy, Copyright, Video Games, Institutional Review Boards, Activist Scholarship, and History That Talks Back (Athens: University of Georgia Press, 2012.) She is currently writing a book about radical feminism and the war on violence against women in the 1970s and 1980s. Her published work includes articles on feminism, digital humanities, political and queer history; a new collection of essays on digital humanities, which will open for crowd-sourced refereeing in January 2016, is under contract to the University of North Carolina Press. Sign up here to receive news and event announcements from the Columbia Center for Oral History Archives. This entry was posted in American History Collections, News & Events, Oral History and tagged Archives, CCOHA, Doing Recent History, Oral History on September 8, 2015 by Sady Sullivan. James P. Warburg being interviewed by Dean Albertson, 1952. 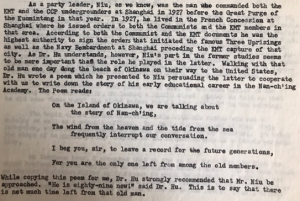 In the 1930s, journalist, biographer, and Columbia professor of history, Allan Nevins began to worry that future historians would find a dearth of evidence documenting the personal side of historic events because ephemeral telephone conversations were replacing letter writing. Nevins began experimenting with what he called oral autobiography: interviews with “living Americans who have led significant lives,” (Gateway to History, 1938). 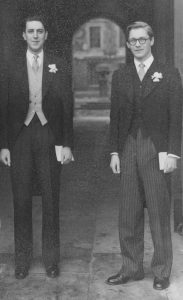 This entry was posted in American History Collections, News & Events, Oral History and tagged Allan Nevins, CCOHA, Mary Marshall Clark, Oral History, Ron Grele on September 3, 2015 by Sady Sullivan.